Roberto Martinez and the Everton board have signalled their ambition by sanctioning the club record signing of Belgium striker Romelu Lukaku. The fee of £28m, not only shatters the clubs transfer record, which previously stood at £18m for Marouane Fellaini, but is also more, in one single transfer, than the club have ever spent in the entirety of any previous transfer window. Martinez went to great lengths at the Lukaku media briefing to thank the board for their backing. But anyone who has listened to Martinez speak since he took the Goodison Park hot seat will know how infectious his passion and drive can be and it is no surprise that he has been able to loosen some of the Premier League’s tightest purse strings. The signing of Lukaku is far from the final piece in the Everton jigsaw, and some of the clubs most fiercest critics have suggested the Blues have spent £28m, but in doing so have failed to strengthen the team from last season when Lukaku was at Goodison on a season long loan. However the Belgium’s strikers permanent arrival provides the Blues with a focal point in their attack and at just 21 years of age he has the potential to become of the World’s great centre forwards. Lukaku is the latest to commit his long term future to the club and joins Ross Barkley (20), John Stones (20), Muhamed Besic (21), James McCarthy (23) and Seamus Coleman (25) to provide Martinez with a young ‘arrogant’ core to his Everton team. The remainder of the transfer window will see Martinez strengthen his squad further. He has ambitions to not only break into the Premier League top four, but also to make an impact in Europe and he will need to add further depth to his squad if the Blues are to challenge on four fronts. The early rounds of the League Cup and the latter Europa League group games (if the Blues have already qualified) will provide Martinez with the opportunity to use some of the clubs promising u21 players, but he will need to use the loan market astutely to add another centre forward and at least one winger to his squad before August is out. 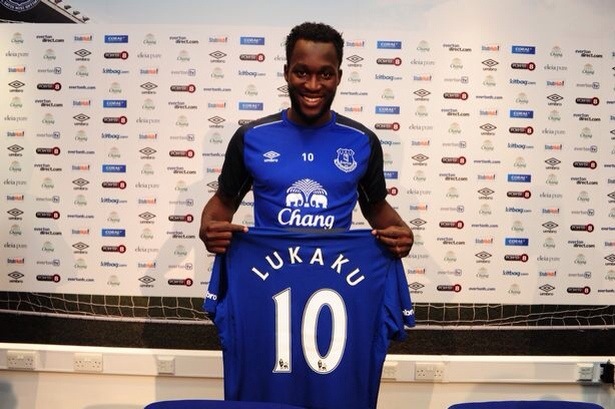 It is a great time to be an Evertonian and the signing of Lukaku has made our great club proud again.